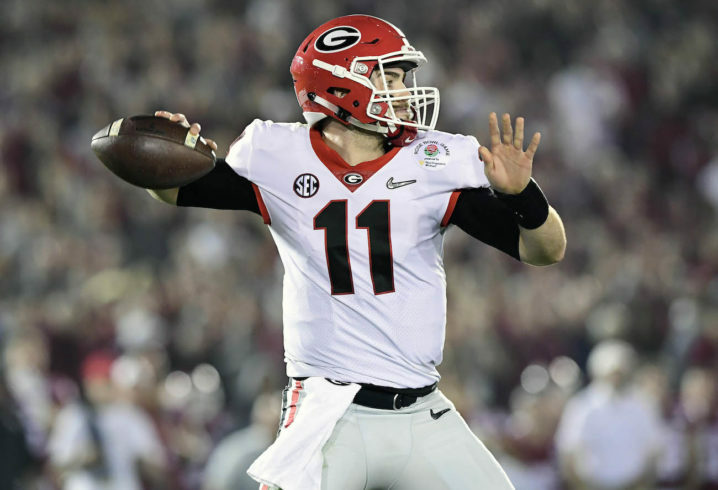 Last year, Jake Fromm earned the starting quarterback job for the Georgia Bulldogs as a true freshman after taking over for Jacob Eason when Eason went down with a knee injury in Week 1. Now, it appears Fromm may have opened the door for incoming freshman 5-star QB Justin Fields to do the same thing this fall, as it has been reported that Fromm has suffered a broken hand. 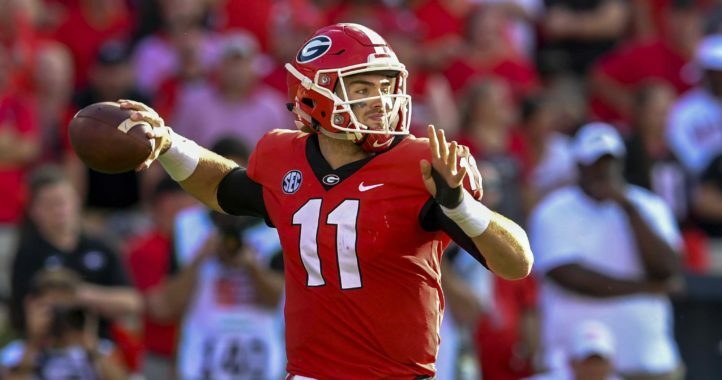 Obviously, having a broken hand at all is not great for the Dawgs, but it would be much worse if Fromm’s right hand was the one that got fractured. 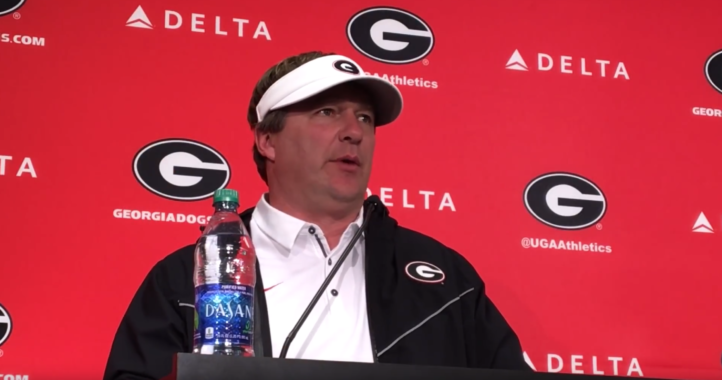 The Bulldogs were counting on Fromm to take a big step forward this fall, but those plans may have to go back to the drawing board this summer if the injury is severe. UPDATE: Georgia has confirmed Fromm has suffered an injury but it does not project to cost him to miss any games in the fall, according to the team. Would be hilarious if he transfers to Washington and takes Eason’s job again. This guy might want to consider avoiding lakes going forward. First, a fishing hook lands him in the hospital and now this. Yep. Knowing he will be a top 10 pick when he comes out, I would try to avoid anything dangerous in off season. Only takes 1 injury to end a carrier and monatary gains for his family. Career. Sorry my phone apparently likes carriers. The worst part was when it auto-corrected “top ten pick” IMO. I see blaming carrier on your phone, what about monetary? DawgNation is reporting it’s his left (non-throwing) hand. Got caught in a tow rope on a boat and is being treated like a bone bruise with no cast. A few weeks to heal completely. Ready to go fo camp. And he’s apparently still planning on participating in summer 7-on-7s. Non throwing hand is being reported along with it being treated like a bone bruise. He will be fine and ready to go. Calm down SDS. From the way they’re treating it, it sounds like just a hairline fracture with no structural damage. So the story appears to be that he was spotting a wakeboarder on Lake Burton who let go of the rope, and the handle whiplashed back hitting Jake’s hand. Just a freak thing – no reckless behavior. I believe I would tell that boy the next time he goes to the lake it’s in body armor or hand armor at least. Seriously though glad he’s ok.
Glad he will be ok, and that it’s nothing too serious. I’m glad it wasn’t his throwing hand. The prognosis looks good and I hope it heals well and quickly. In other news, Jalen Hurts has a head cold. Both QBs are expected to miss the same number of games with their ailments.